While remasters are fully welcomed in the Call of Duty community, is the release format being done the best way that it could be? 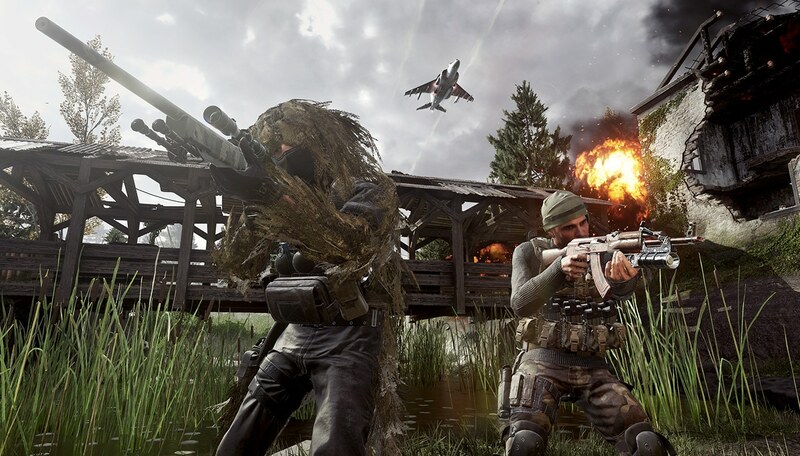 Modern Warfare Remastered introduced a new perspective to the Call of Duty franchise as bringing back the fan favorite marked the first time that players would have not only one full Call of Duty game to play come November, but two. There’s much to love about or dislike about that depending on what side of the spectrum you fall on but there is one constant in all of it: Was it properly timed as a release? Was it best to couple the game with Infinite Warfare or would it have been better to release the game later in the year as a separate download? Welcome to the Call of Duty remaster conundrum. Perhaps one of the biggest arguments for the release of Modern Warfare Remastered at the current time that it was can be attributed to sales numbers of Infinite Warfare. That is the most common theory as to why the game was coupled with the Legacy and Legacy Pro editions of the game as well why it is still not a standalone title. While this is very possible and quite probable to be the actual case, was this the best move for players? On a business level, it was absolutely the right move. 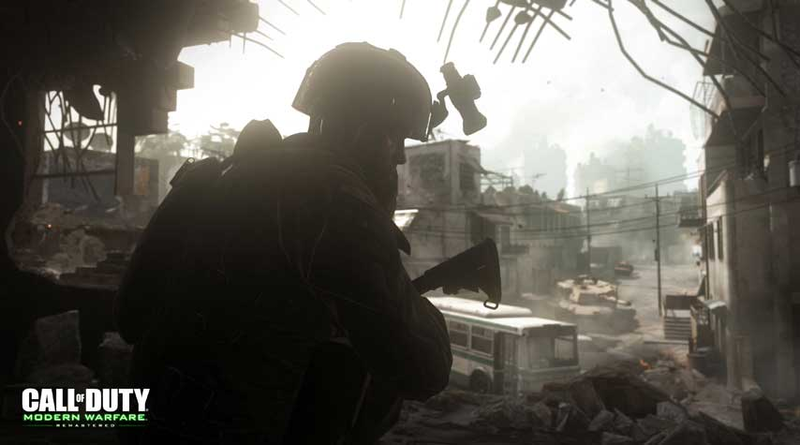 When the game was pitched around the time of development of Modern Warfare Remastered, it was quite possible they saw the progress of Infinite Warfare and decided they needed something extra. However, from a player’s perspective, it perhaps could have been done better. The release of two titles at one time becomes problematic for a few various reasons. The first reason is that it will obviously split the player count. Player count has been something that has been the subject of uncontrolled skepticism and critical scrutiny. Whether Infinite Warfare’s numbers prove to be as low as many seem hellbent on proving, we may never know and for all intents and purposes, it does not actually matter. The point can be made still within the theory of the topic. If you have a player base that normally puts all their time into one game, even if numbers vary as it is a less popular title, you’ll still have a large core number of players. If you take that and divide it by two, it’s a no-brainer the game could have an issue. How do you remedy this? One way is to release the secondary game, that being a remaster, at a later date than that of the full release of the primary. For instance, Infinite Warfare was released in November of this past year. Instead of releasing both at the same time, release Infinite Warfare in November and Modern Warfare Remastered around the halfway point in the game’s life cycle or shortly thereafter, say April or May to rejuvenate the player count in the franchise. Another advantage that a delay in release would offer would be the ability to keep content fresh. Each year traditionally, DLC will be released for the base game around the January/February times and about every two months following suit. During those down periods though is when it gets tough to please Call of Duty fans and players. This creates “dry periods” as many call it, where there’s nothing new in the game at all and players are forced to play the same thing over and over again. What better way to combat the mid-season drought in content than to drop something so massive it will last another six months on its own, without any extra help? This could in turn generate active player counts all year long. This is where the conundrum comes into play, where both seem rather intriguing and from a marketing sense both make tremendous amount of sense. What follows next is what is behind closed doors for the business side of Activision to determine. While there are no remasters currently in the works according to what we, the public know, it would interesting to see if this model were ever adapted for future projects moving forwards, assuming there are any. Whether one way is the right answer or not, there is no real way to tell but it is an interesting thought regardless. Which would you prefer? Would you prefer a future remaster be released alongside a full game or later down the line?